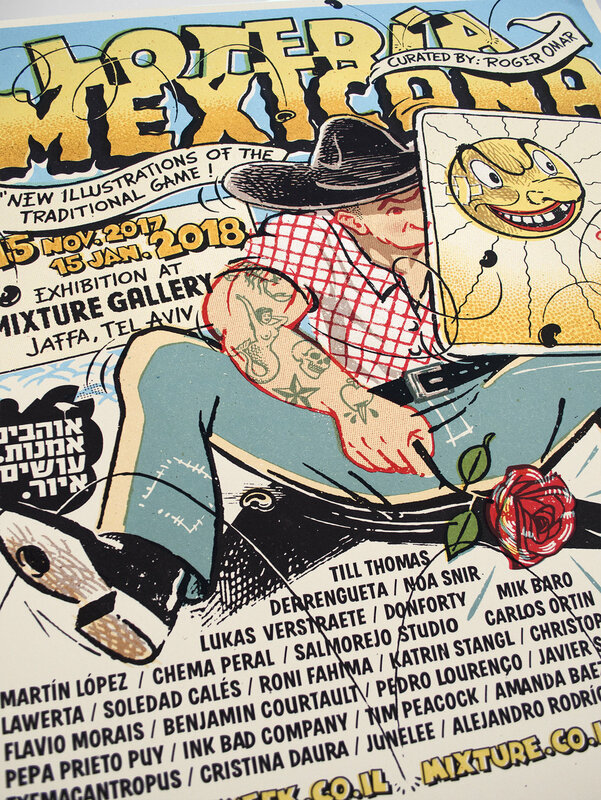 We´ve taken part in a stunning version of the traditional Mexican "Lotería"; a familiar bingo composed by 54 cards representing iconic characters, animals, and objects. 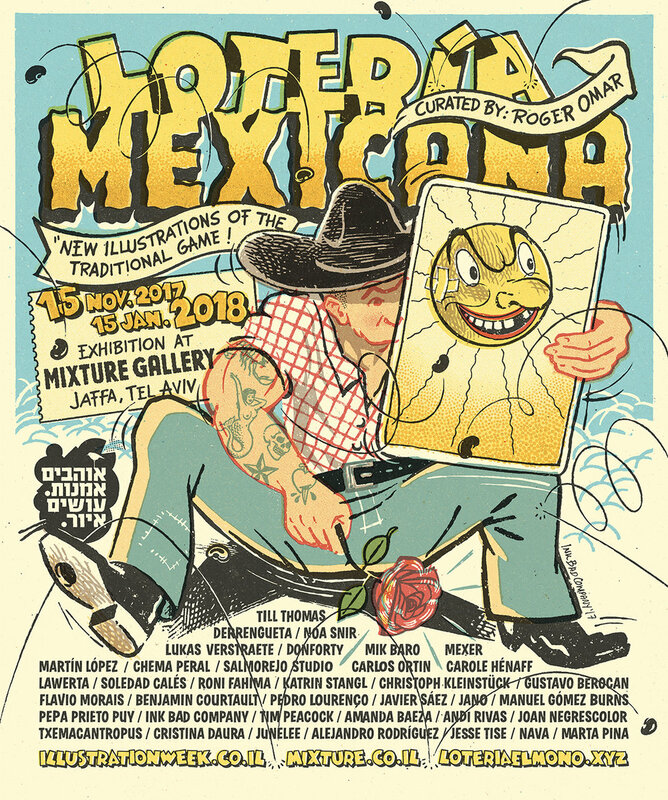 An impressive lineup of illustrators has given a little twist more to this new version, curated and edited by Roger Omar. 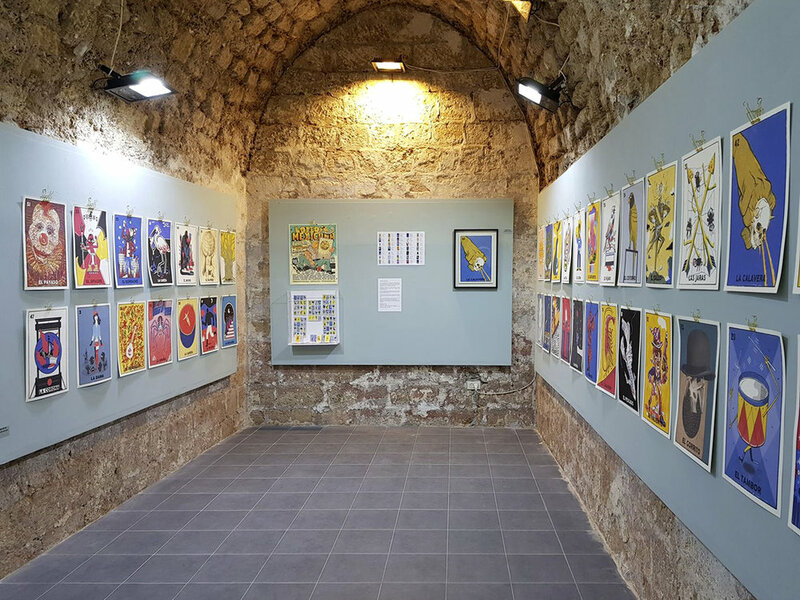 On the occasion of the Tel Aviv Illustration Week 2017, thirty-seven cards have been on display at the Mixture Gallery, in the heart of Jaffa Port. We were also invited to make the exhibition poster, and this was the result!